Click here for direct link to audio Episode #33. Check out this site in our area of interest—the Franchthi Cave in the Peloponnese, which was continuously occupied from about 20,000 BCE (Paleolithic) to about 3,000 BCE (late Neolithic). Who wouldn’t live in a cave if you had the chance??? Apparently some people! 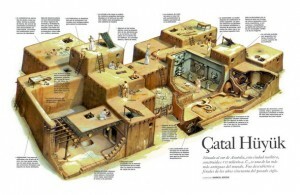 In contrast to Franchthi’s loner types, some Anatolian folk decided to shack up en masse and created the settlement at Catal Hoyuk in modern day Turkey. The official website is not as user-friendly as it should be, but you can check out the cool videos of the archaeologists on the ground showing how it is all done. Thank the gods I’ve gotten us through the Stone Age! Next week we turn our attention to The Bronze Age! Click here for direct link to audio Episode #32. Freya Stark went boldly where no woman (& sometimes no man) had gone before. She is one of the most fascinating women of the 20th century. Born in 1893, she followed in T.E. 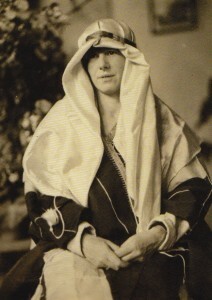 Lawrence’s and Gertrude Bell’s footsteps across the Middle East. Like her predecessors, she learned Arabic and Persian, and lived the life of a nomad whenever she was able. She often traveled where no woman had gone before, and in some cases could claim to be the first Western explorer. She dressed as was the native custom in the lands she walked, and crossed deserts and mountains by camel. She wrote touchingly perceptive descriptions of what she saw, as with the scene in today’s podcast of young Turkish boys going off to war in the Black Sea town of Giresun. She knew her classics, knew her geography, and knew her “place” (on the road!). 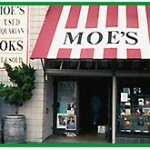 She wrote dozens of books and lived to be 100 years old, dying in our own lifetimes, in 1993. Today I read from her book Rome on the Euphrates. 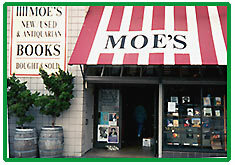 Check out Moe’s Books in Berkeley for a top-notch selection of Classical literature. Thank you, Freya, for being bold and brave and living your life to the fullest! Next week we continue with prehistoric times, focusing on the Neolithic period. When will it end?? ?